Secret Acres sent me a copy of The Academic Hour this summer. 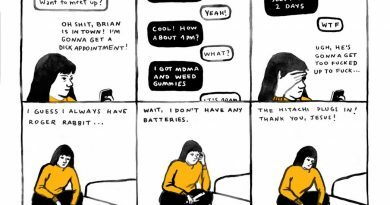 Katz’s work has been on my radar for some time; her comics have been in Ink Brick as well as Future Shock Zero. But The Academic Hour is my first experience with Katz’s work at length. Nominally, The Academic Hour is a love story between two people; Poethel, a disgraced professor of architecture, and his student, Liana. The book is 176 pages of vignettes in full color using colored pencil. Katz’s illustration is a loping, galloping, twisting thing. The pages are generally laid out as a single panel page, but the illustrations draw your eye in loops around the page. Intricately-patterned carpets curl around and pile up underneath characters, who have comically large pencils growing from behind their ears. Arms, legs, and necks stretch to absurdity. These images are visually challenging and complex. But these images could also be described as fantastical or whimsical, as though Katz is telling a quiet joke. 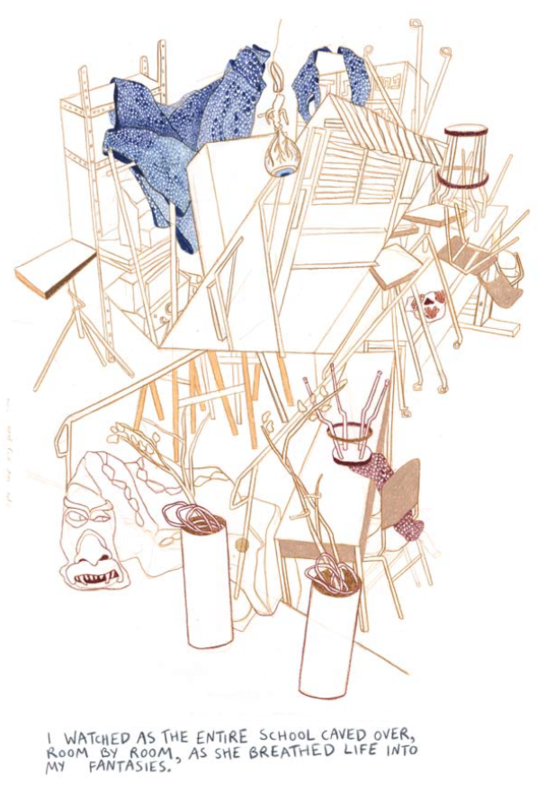 These illustrative choices lend Katz’s work a visual language that is unmistakable. As whimsical as The Academic Hour may seem, I think that the story’s true nature is that of tragedy. The book is surprisingly violent; students break bones, twist and contort themselves into odd shapes, and have whole body parts lopped off and carted away. Students admitted to the academy are those who were in car accidents, but didn’t break any bones – the school will allow them to break all the bones they were supposed to break before. The beautiful color and surreal imagery make the violence seem absurd, but more obvious. Two-thirds of the way through, a two-page spread seems to open the book to further interpretation. A girl and a boy, stuck in a wing of a house by themselves while their parents attend a gala, make up a fantastic school. The girl’s incredible imagination takes flight, and the boy goes with her. If these two children are the same Liana and Poethel, then the story previously told takes on a darker hue. Did Poethel died in a car accident shortly after their time together at the gala? Is the academy a figment of Liana’s imagination, a coping mechanism to deal with her grief? The Academic Hour’s surreal landscape makes a discussion of its plot difficult. It is unclear what is real and what is unreal, and especially unclear if that is even a distinction worth making. But it’s clear that the comic is dealing with very human emotions. Is the trauma of the book truly physical, or does it represent psychological or familial stressors? The nature of the relationship between Poethel and Liana is also under question. The interpretations are myriad. The book is laid out in a series of interconnected chapters that all end with a letter. These letters are between two people as they will one day become; or, letters from one heartbroken person to herself, trying to find her way in the world. I am enchanted by the poetry and the choreography of Katz’s comics. 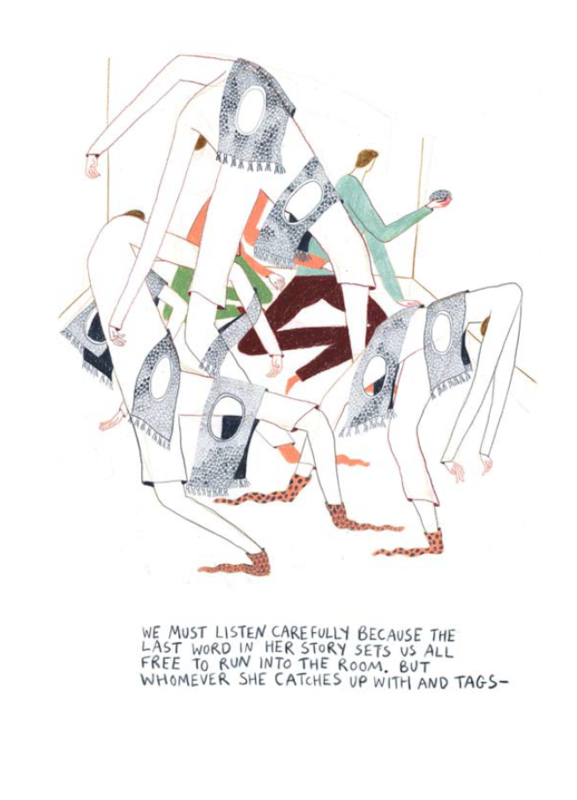 Richard McGuire gives a pull quote for the book that compares Katz’s illustration to dance, which is particularly apt. The Academic Hour is a slew of contradictions wrapped up together; it is as delicate as it is intense, as heartbroken as it is joyous. 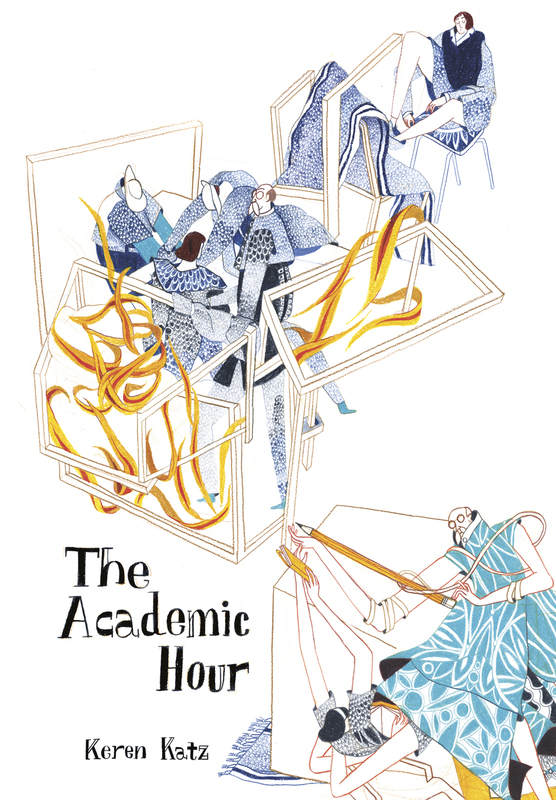 The Academic Hour is one of the most complex, beautiful, and puzzling comics I’ve read in years. It’s a must read, and likely one of the strongest comics published so far in 2017. If you like the writing on Sequential State, please consider donating a dollar a month at Patreon. Your support keeps the site ad-free, and will give us resources to make the site better. Thanks!